On Sunday 4th December at 11am over 4,000 Father Christmas's will descend on Victoria Park in East London for the Santa Run. There is a 5k and 10k route, and here at Ellie's we'll probably be walking. We would LOVE as many of our friends to get involved as possible. 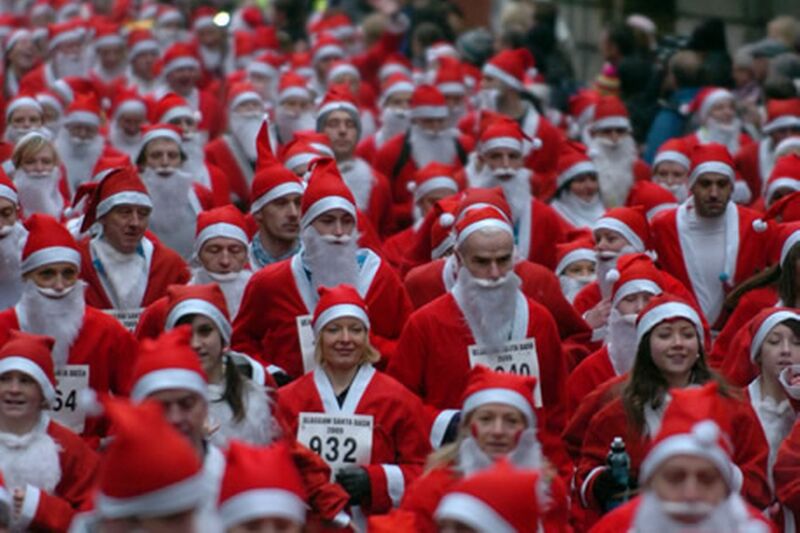 There is a free Santa suit for every runner/walker, and we will arrange for Christmas drinks after the event. Children and dogs are also welcome. Registration for this year's event is now OPEN! To secure your place just click here. There is no pressure to fundraise the £100 mentioned, whatever you raise will be hugely appreciated and more than anything we would love to see you on the day.